You got the invites? We have the outfits! Spice up your festive look by wearing this gorgeous navy tunic with embellished neckline. 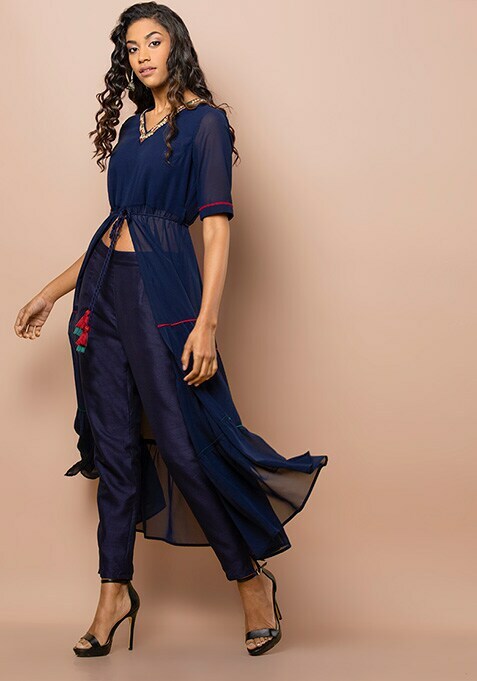 Features front slit, thread dori belt and a tiered design. Work It: Team it with brocade trousers and wear subtle makeup to look stunning.